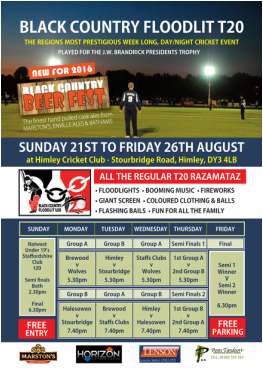 The Black Country Floodlit t20 Competition is back! This year, sees the regions most prestigious week long, day / night cricket event with a new format - now held over six days (21st - 26th), to include Sunday, where Staffordshire's finest club Under 19's go head to head in NATWEST t20 semi-final play offs, with the final played under the lights in the evening. The winner going on to represent Staffordshire in the National Finals. 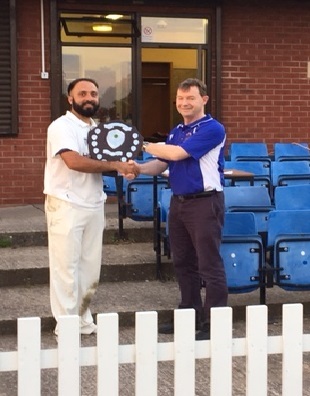 The event now includes six local teams, Himley, Stourbridge, Wolverhampton, Halesowen, Brewood & an all star Staffordshire Cricket League XI, who go head to head for the Joe Brandrick Presidents trophy. The event now In its 7th year, will be bigger and better, with all the usual action you would see on TV will be on show, floodlights, coloured clothing, balls, music, fireworks & on field entertainment. Due to demand, the event will also see see some of the regions local breweries, who will be offering their finest hand pulled cask ales throughout the week. 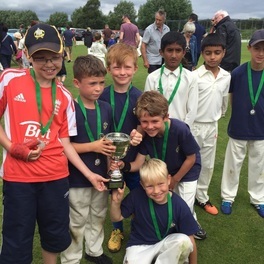 Last Sunday (24th July) at Beacon CC, Himley’s under 9’s performed fantastically to become North Worcestershire Champions and confirm their place in the overall Worcestershire county finals day on September 4th at Himley CC. Joint coach, Greg Wright, reflected on the culmination of 12 games over four weeks, “After a comfortable first win against Pedmore, we squeezed past Lye in the final over in a really tough examination. That win was particularly pleasing as the team were under pressure to chase an excellent Lye total. 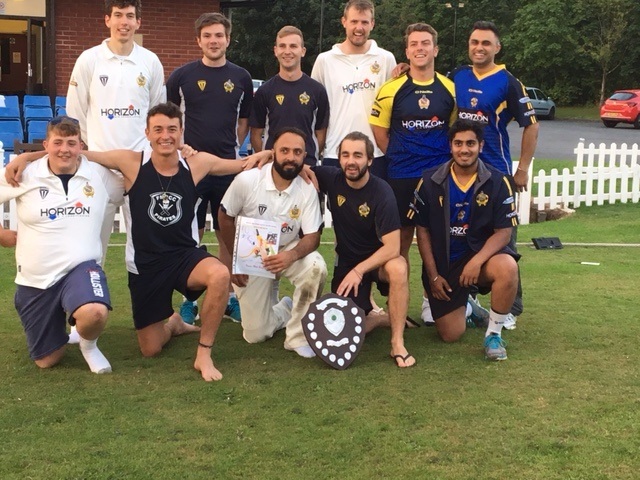 The team hadn’t hit their straps in the field in those early games – the area we work hardest at – but that also came together in their final test against local rivals Wombourne to give us a clean sweep on the day. “Matt (Wainwright) and I are immensely proud and the team fully deserved the trophy with 13 wins from 15 games this season. It’s a really tough ask but the aim is to repeat the achievements of Deepak’s team win last year and retain overall County Cup for the first time. 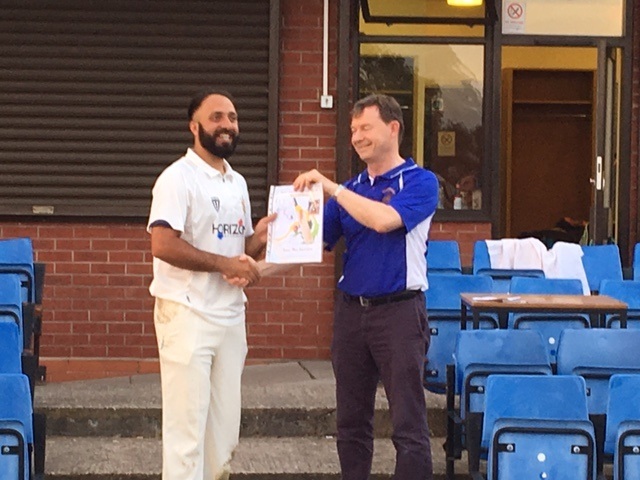 On a hot and sticky evening Himley skipper Bilal “Billy” Hussain won the toss and put Enville in to bat. Himley were on the attack from the start placing two slips and a gully at both ends to opening quicks Elliot Hopkins and Jamie Turner. The gaps in the field produced 12 runs from the first over but, after that, Enville openers Matt Branch and Vince Abercrombie struggled against accurate bowling. Abercrombie tried to break the shackles in the third over but edged one behind where the keeper took an excellent diving catch; Hopkins producing that rarest of Wednesday night jewels: a wicket maiden. Enville needed a score from Branch and in the next over he attempted to hit over the top only to hole out at mid-off. Leigh Passmore looked all at sea and was clean bowled in the same over. Jono Howells and Harry Kitchen counter attacked with some brave shots and took advantage when the spinners came on. Kitchen hit 2 sixes in his 24 off 19 balls, and Howells went for 21 off 20 balls. George Roberts made a useful 17 but after that only Matt Grainger looked solid but failed to get enough of the strike. A total of 93 for 9 looked a little light. ​Enville needed a good display in the field and a good running catch by Branch in the first over saw the end of Nick Vaidya. But Mike Jones and Hussain were undaunted, attacking from the start. Enville rung the changes in an attempt to find a bowler who could keep the score in check. Needing wickets Grainger kept a slip in place to the spinners. But there were too many loose balls, which Hussain took full advantage of. 59 was on the board after only 5 overs. In desperation Grainger turned to Trevor Spears left arm allsorts. After 3 consecutive sixes the experiment wasn’t working and Himley were speeding towards their target. 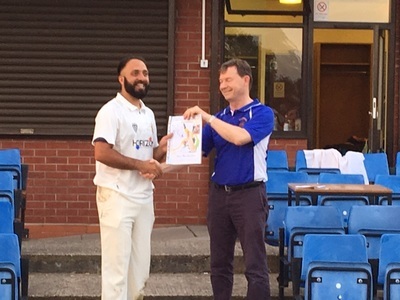 Another 6 off Woodall brought up Hussain’s 50 and a final six won the match for Himley, Hussain picking up Man of the Match (above, presented by league chairman, Mark Hall). Many thanks to Himley ground authorities for the use of their facilities and to umpires Pat Kelly and Tony Wilkes. REPORT COURTESY OF ​MARK HALL. Club Captain & Coach, Ben Smith is holding a two day Cricket Master Class on July 28th & 29th (9am-3pm) at Himley Cricket Club. 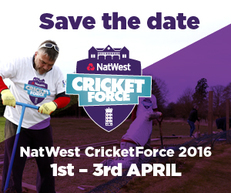 This is a fantastic opportunity to experience a total cricket programme over two fun packed days. 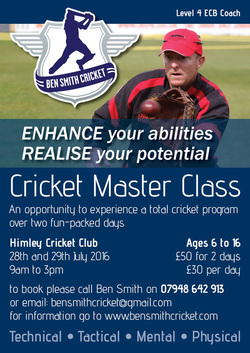 ​To book or for more information please contact Ben on 07948 642913 or email bensmithcricket@gmail.com. 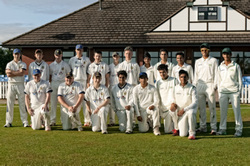 Himley Cricket Club are delighted in welcoming back to their Stourbridge Road facility, the Turf Academy, Modern School Cricket Club from New Delhi, India on Monday 20th June. Last year Modern School featured teams at U15 and U17 age groups with both games played in the evening using Himley’s two cricket facilities. The games forged a great friendship between the two clubs. 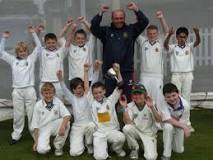 This year Modern School will feature two sides at U12 and U17 age groups and will play Himley's junior sides at the same age level. The matches start at 6pm. 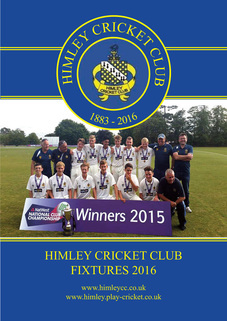 Please find link to the 2016 Fixture Programme. Here you will find this season fixtures for our Saturday, Sunday & new midweek leagues. With contact details of captains and senior club officials, there is also information on this years subscriptions and player guidelines. YOUR CLUB NEEDS YOU - Summer is on its way and in order to get your club ready for the season we need your help at the ground on Friday April 1st & Saturday 2nd from 9am onwards to do jobs to ensure we hit the ground running for the following weekend when we have our first game at home. 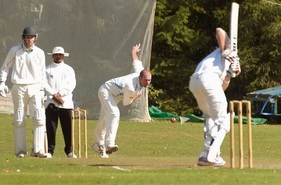 HIMLEY APPOINT BEN SMITH AS DIRECTOR OF CRICKET. 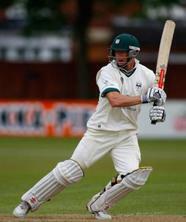 Himley are delighted to confirm that Chris Boroughs has joined Himley Cricket Club. All rounder Chris named the Birmingham League Player of the Year for 2013, has represented Hereford in 78 minor counties Championship matches, captaining them until 2012. 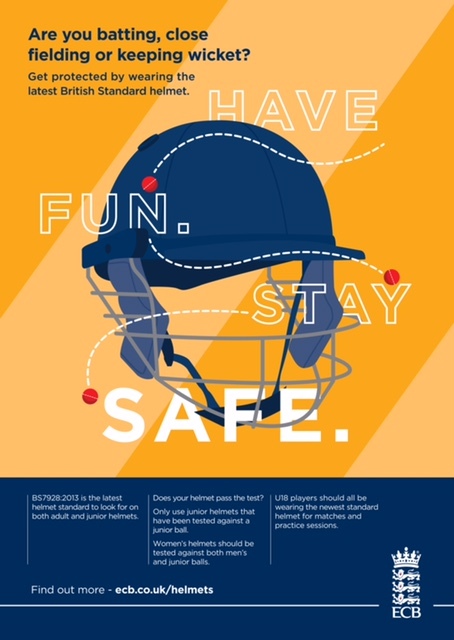 The ECB has recently announced new helmet safety measures which are being introduced with a view to reducing the risk of head and facial injuries within the game. Further information can be found by visiting www.ecb.co.uk/helmets. Under 9's, 10's & 11's, will be held from 6.30pm until 8.00pm on Fridays; Jan 15th, 22nd & 29h, Feb 5th, 12th, 19th & 26th and Mar 6th, 13th & 20th. Under 12's, 13's, 14's, 15's &16's (Year 7 & Above) will be held from 8.00pm until 9.30pm on Fridays; Jan 15th, 22nd & 29h, Feb 5th, 12th, 19th & 26th and Mar 6th, 13th & 20th.